Mertert is a village on the west bank of the river Moselle. It lies 32 kilometres east-north-east of Luxembourg, the capital of the Grand Duchy, on the road to Treves (Germany). 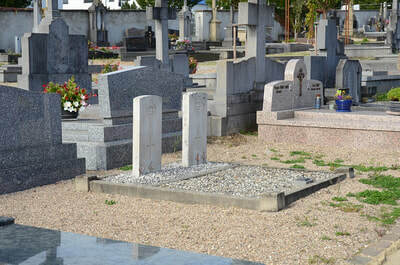 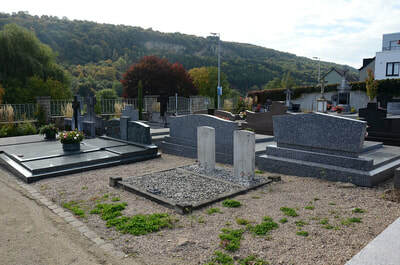 The cemetery is in the north-eastern outskirts of the village in the Rue Basse, the lower (river) road to Wasserbillig. The Commonwealth burials are in the south-east part of the cemetery. 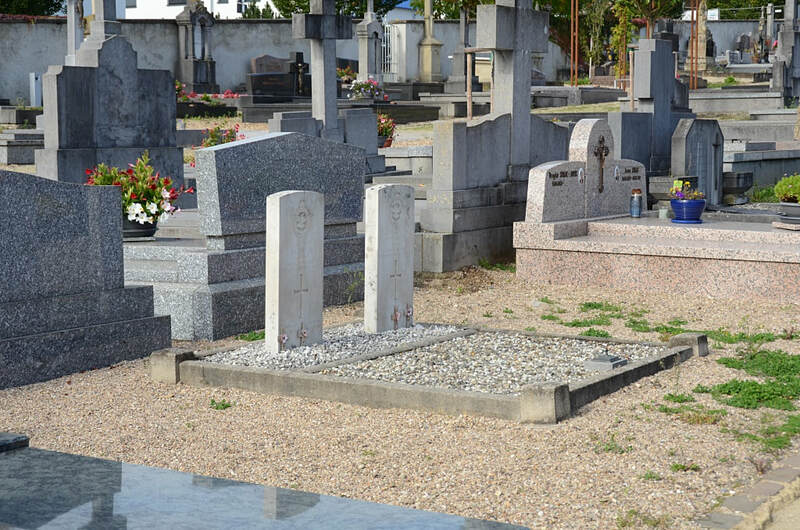 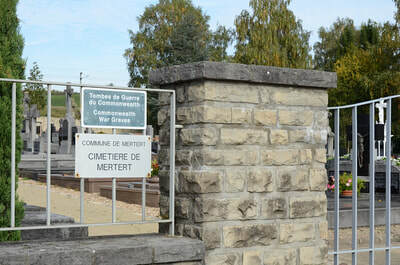 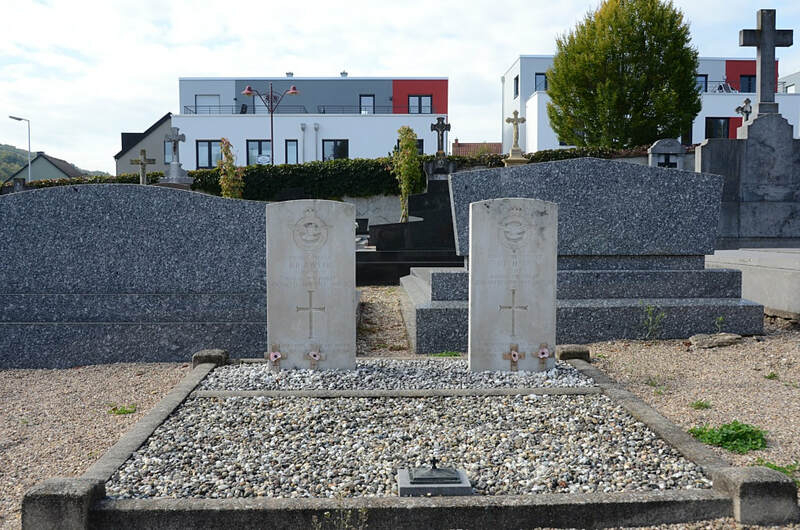 GPS Co-ordinates: Longitude 06°29'08", Latitude 49°42'09"
Merteret Communal Cemetery contains the graves of two airmen of the Second World War. 154846 Flying Officer Brian Robert Dwyer, Navigator in 107 Squadron, Royal Air Force Volunteer Reserve, died 2nd September 1944, aged 20. 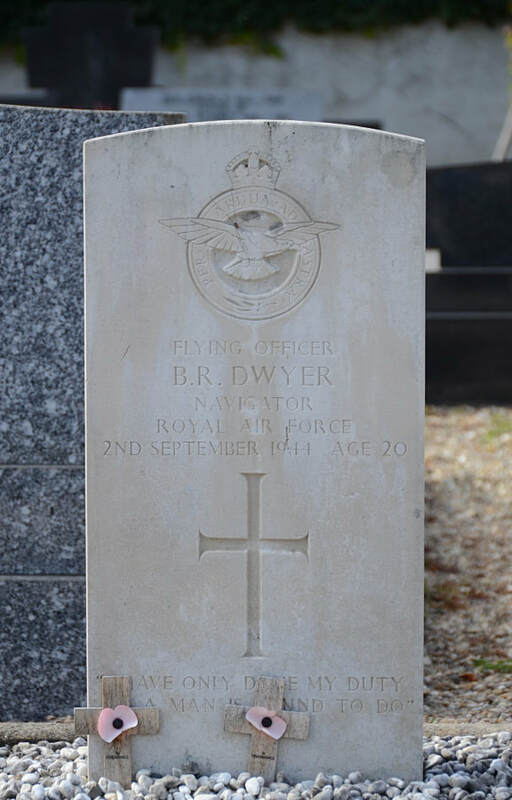 Son of John Harold and Elsie Dwyer, of Leicester. 124676 Flight Lieutenant David Domett Hall, Pilot in 107 Squadron, Royal Air Force Volunteer Reserve, died 2nd September 1944, aged 24. 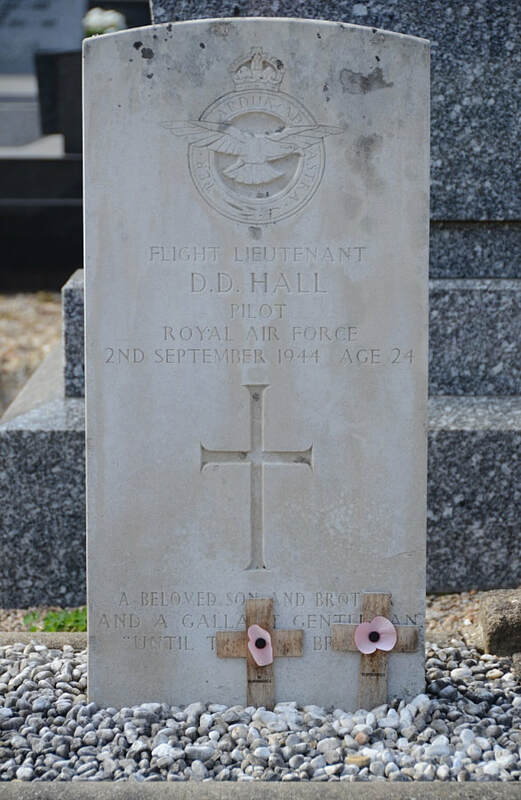 Son of Arthur Domett Hall and Emilie Hall, of Denmark Hill, London.